I love Sydney in the Summer Time. with free entertainment at Hyde Park 3pm until late. Happy New Year to all my fellow Bloggers. Now that has a nice sound to it. Whatever, Fate has install for me, bring it on. I say. Well, 2010 didn’t disappoint. I didn’t have a great year health-wise, nothing major wrong but didn’t feel 100% all year. I had dislocated my shoulder again, tummy upsets and general feeling of blech. The end of the year made up for the previous months with my social life improving and I will be re-uniting with old friends at a BBQ this Sunday. I hope your health is better in 2011, but I have to say that as we age, the feeling of never being quite right seems to be permanent! I have decided to grab 'getting older' by the scruff of the neck and give it a good shake-up. LOL. Well, thats the intention anyway. My bro,sis and bil + their friends have invited me to go with them to USA/Las Vegas at the end of the year. I will see how my saving goes, as there is no way I will go all that way without going to New York also. 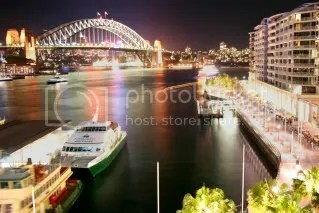 Love the pic of Sydney.. beautiful! !